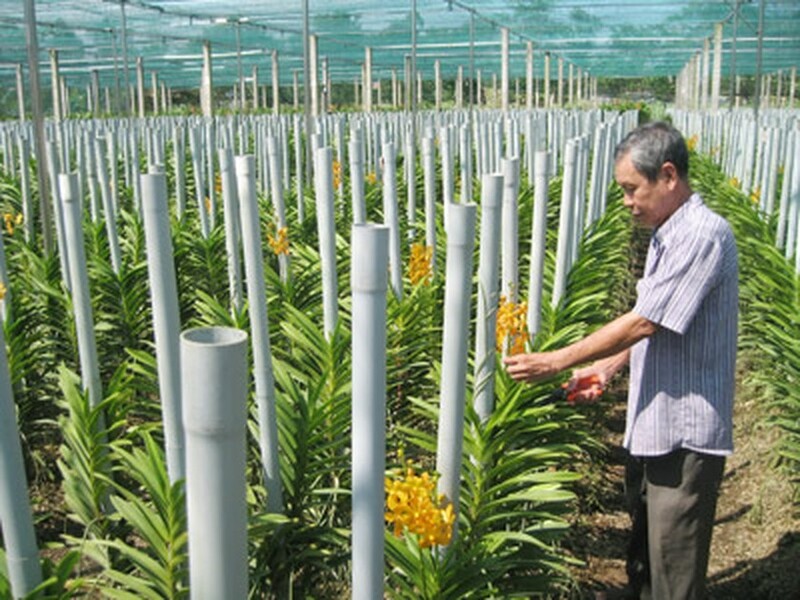 Ho Chi Minh City has set a target to complete the New Rural Development Plan by April 30 next year to mark the 40th anniversary of the Reunification Day, announced Mr. Vo Van Thuong, permanent deputy secretary of the city’s Party Committee on August 8. The campaign has been joined by the political system and the entire society, organizations, businesses and districts from inner the city to get encouraging results, said Mr. Thuong who is head of the committee’s steering board for the plan. Currently, the gap in living standards between rural and urban areas has been narrowed to 1.3 times. It averages 2.3 times in the country, he added. Fifty six communes from five outskirt districts have attained 14 out of 19 norms in the plan, an increase of one norm over last year. Of them, six communes obtain all 19 norms, according to recent reports. It requires great efforts from local authorities to fulfill the plan on schedule, said Mr. Thuong. Districts able to reach the 19 norms by the end of this year will be financed one of projects, which have not been approved yet, next year, he added.